1 Remove giblets and neck from turkey; reserve. 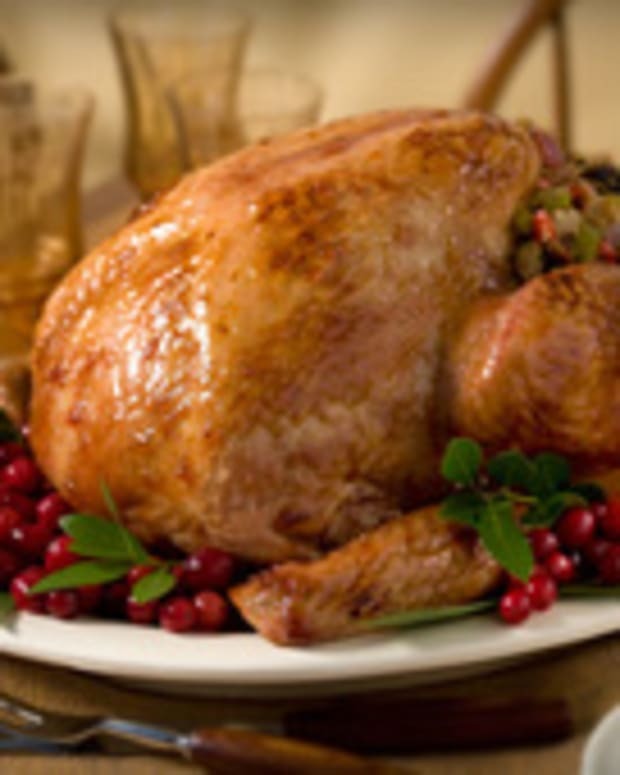 Rinse turkey with cold running water and drain well.n blender, combine olive oil and lemon juice. While blending, drop in garlic cloves one at a time. Gradually add lemon zest. Continue to blend until mixture is pureed. 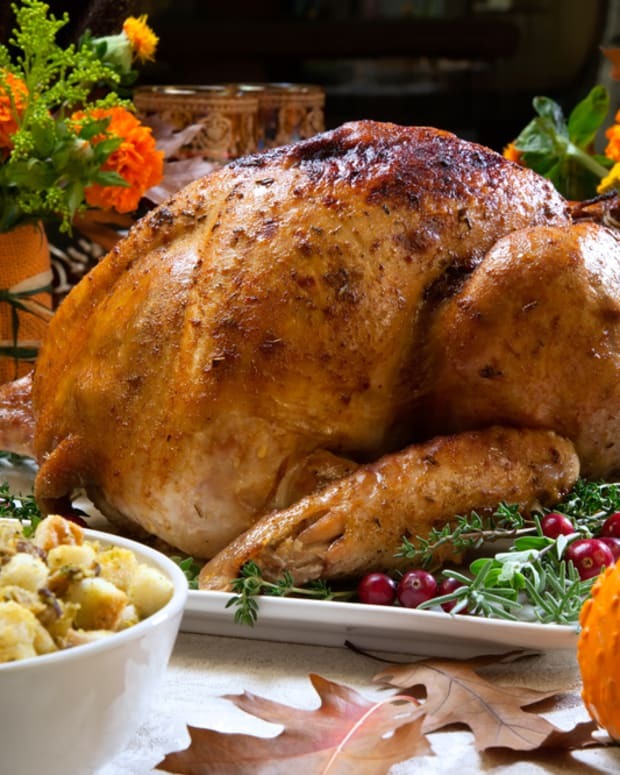 3 Gently massage turkey to distribute marinade.Place turkey in a large plastic bag (cooking bag or foodservice grade plastic bag). Close bag and refrigerate overnight. 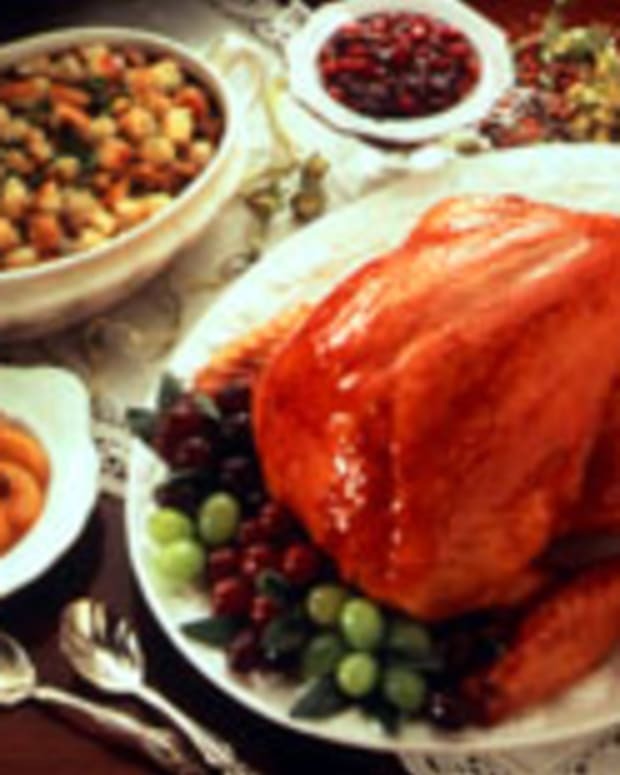 4 Remove turkey and drain excess marinade. Scrape off excess marinade and discard. Do NOT re-use marinade to baste the turkey. 5 Fold neck skin and fasten to the back with 1 or 2 skewers. Fold the wings under the back of the turkey. Return legs to tucked position. 6 Place turkey, breast side up, on a rack in a large shallow (about 2-1/2 inches deep) roasting pan. Rub turkey with salt and pepper. 7 Insert oven-safe meat thermometer into the thickest part of the thigh, being careful the pointed end of the thermometer does not touch the bone. 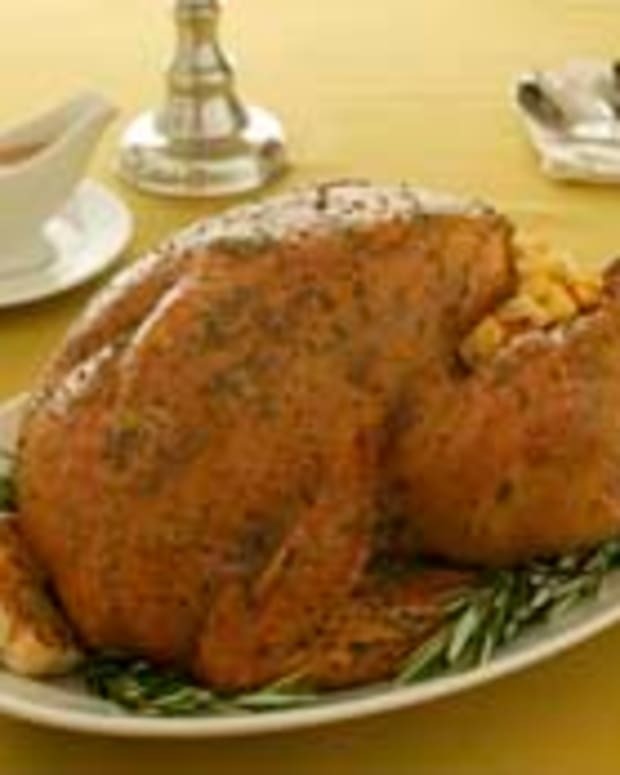 8 Roast the turkey in a preheated 325 degree F. oven about 3-3/4 hours. During the last hour of roasting time, baste with pan drippings. 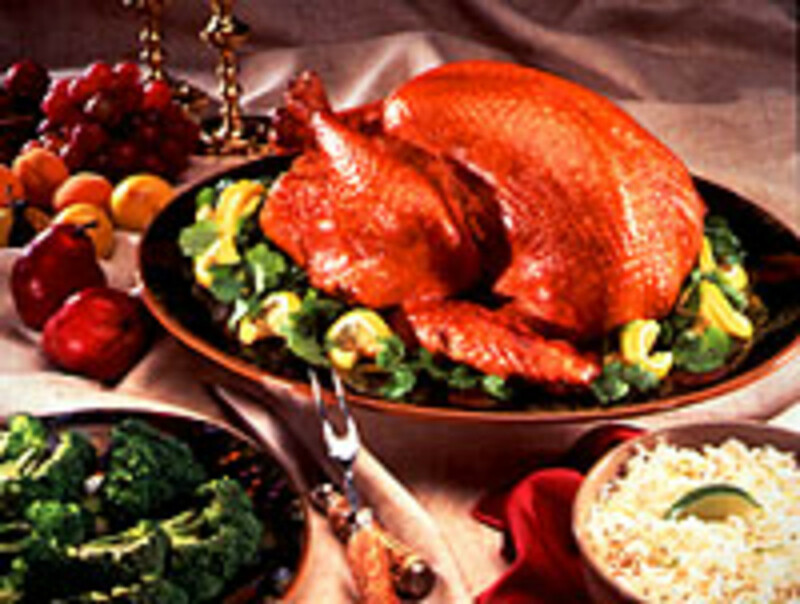 If necessary, loosely cover with foil to prevent excessive browning. 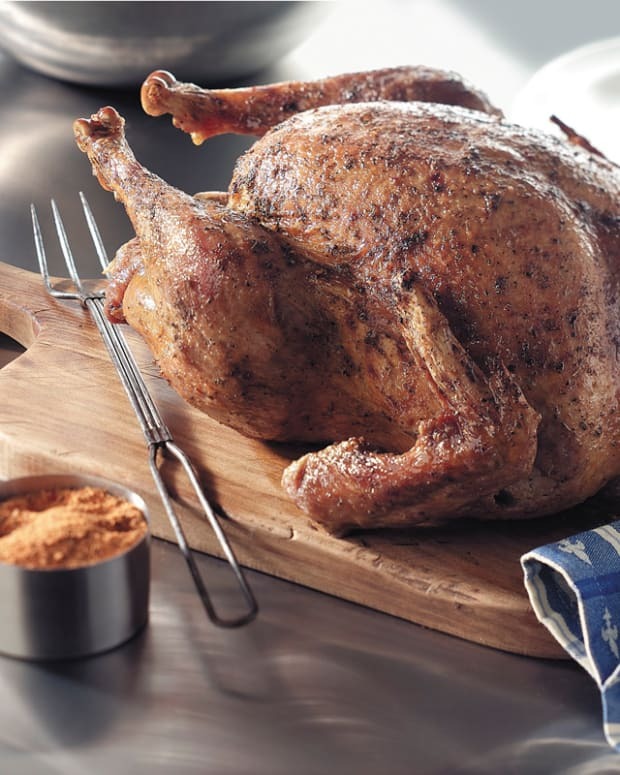 9 Continue roasting until the thermometer registers 180 degrees F. in the thigh, or 170 degrees F. in the breast. 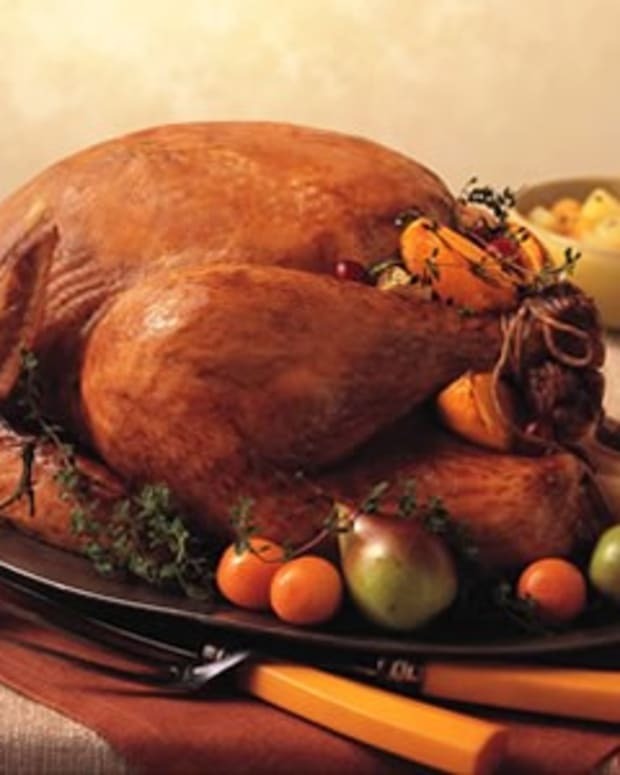 Remove turkey from the oven and allow it to rest for 15-20 minutes before carving. 10 Place on a warm large platter and garnish with fresh herbs and lemon wedges.